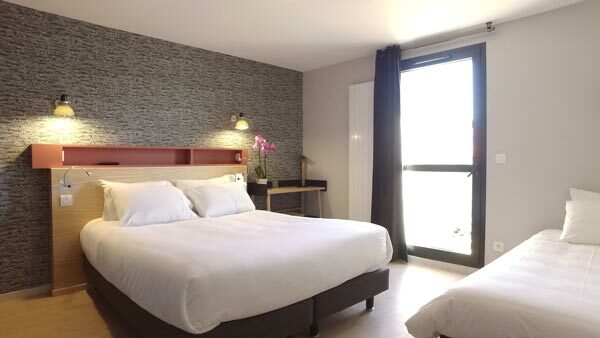 Archipel Volcans welcomes you to a peaceful haven with breath-taking views of the iconic Puy de Dôme. Our 19 family rooms have been completely renovated: from the bedding to the decorations, from the furniture to the bathrooms; we paid special attention to the rooms’ layout to create a cosy cocoon that’s perfect for relaxing. All of our rooms feature a private balcony (bar table with two armchairs) with a view of the property or the Puy de Dôme so you can get a restful breath of fresh air. 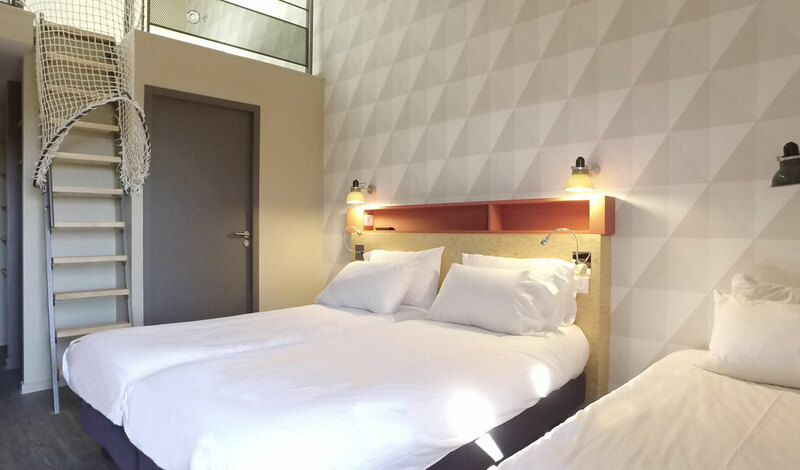 Whether you visit us as a couple or with the entire family, our contemporary and naturally decorated rooms provide a haven of tranquillity and relaxation. They offer views of our green spaces or of the Puy de Dôme, and feature a private balcony. 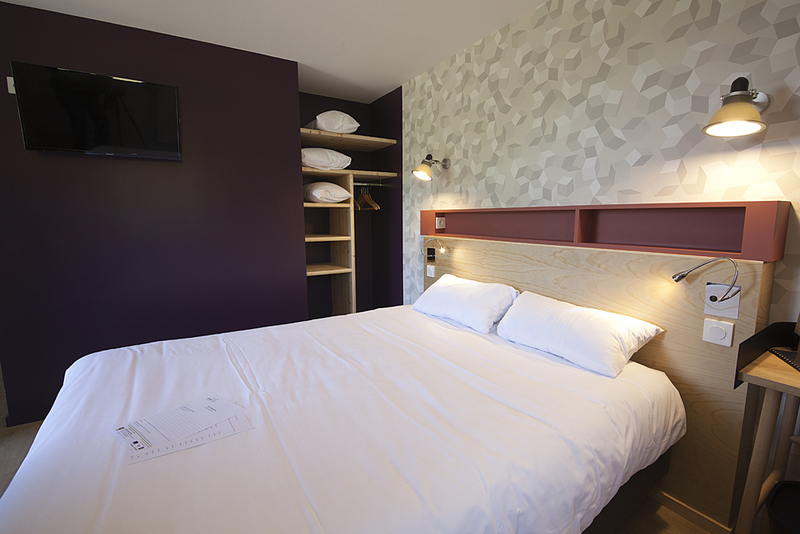 Some rooms have twin beds in a mezzanine for our younger guests. One room (sleeps four) is accessible to persons with reduced mobility in compliance with current legislation. Do you want to be near your children yet enjoy an intimate space? The suite system is the perfect compromise with adjoining rooms each with a separate entrance. Each room has its own bathroom with floor-level shower and toilet. Enjoy all the comforts in a natural and simple atmosphere located in a green setting. 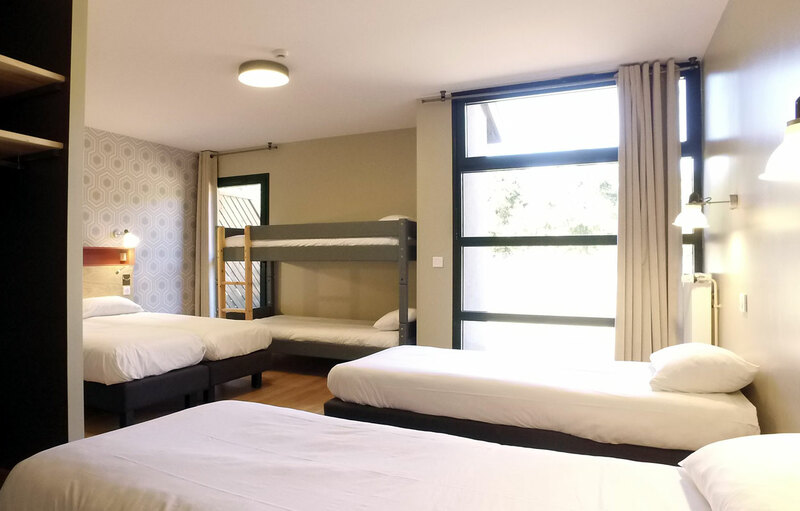 Perfect for stays with friends, family reunions or weekends with friends, these two “group” rooms feature all the comforts worthy of a three-star hotel. 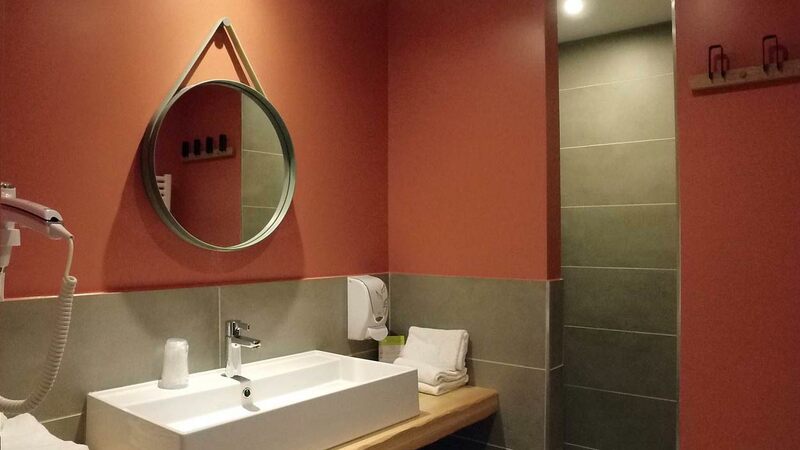 Highlights : two bathrooms with floor-level shower (sleeps seven) and toilet, their modular configurations (double or twin beds, on request) and their tasteful decorations provide the ingredients for a welcoming ambiance. On request and subject to availability, take advantage of our “STOP RANDO” offer. 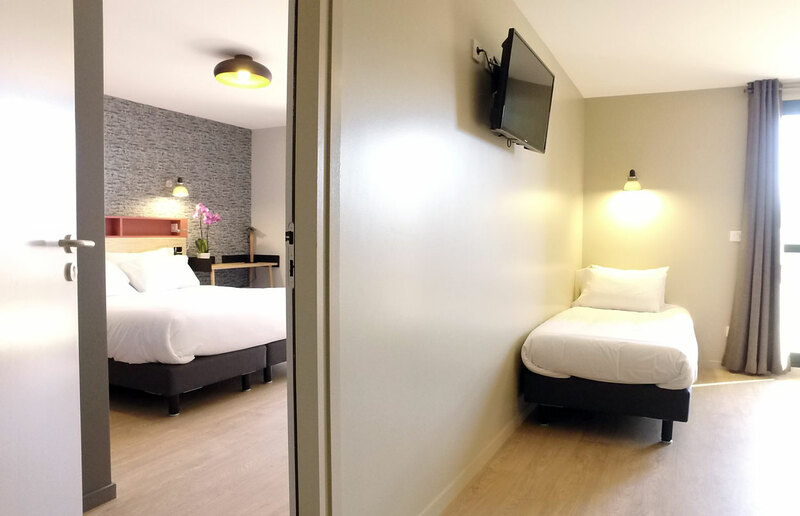 This shared-room system (different reservation files) offers you all the comfort you need at a low price! 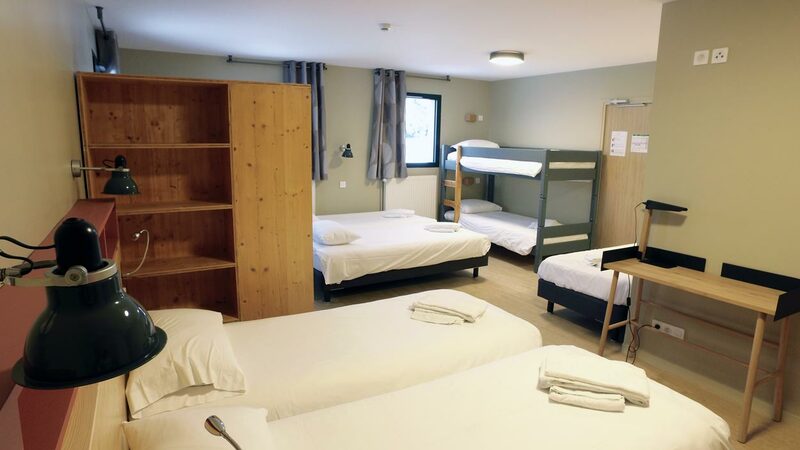 Starting at €25 per person per night. 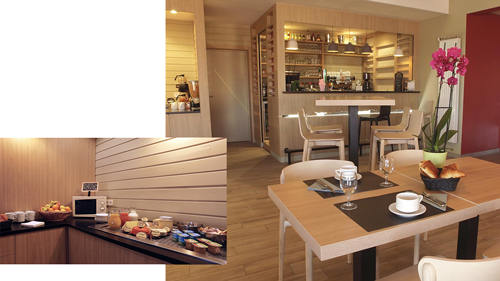 Enjoy a complete and varied continental breakfast in our bright dining room or on our terrace when the weather is fine. There’s something for everyone: hot beverages (tea, coffee, hot chocolate), fruit juices, pastries, French bread, toast, local jams, cereal, honey, stewed fruit, yoghurt, fromage blanc, fresh fruit, Auvergne cheeses, etc. We are committed to protecting the environment (Clé Verte label). For example, we collect rain water in our rain barrel.